Today, November 17, 2012 is World Preemie/RSV Awareness Day. Did you know that there are 13 million babies born early every single year? More than half of them are born in the United States. It’s important that we are aware of premature birth is the leading cause of neonatal death. Three out of ten mothers of preemies were not aware that there was a possibility their child could be born premature. 75% of parents don’t know the definition of premature do you? It’s important we not only educate ourselves, but help educate others. 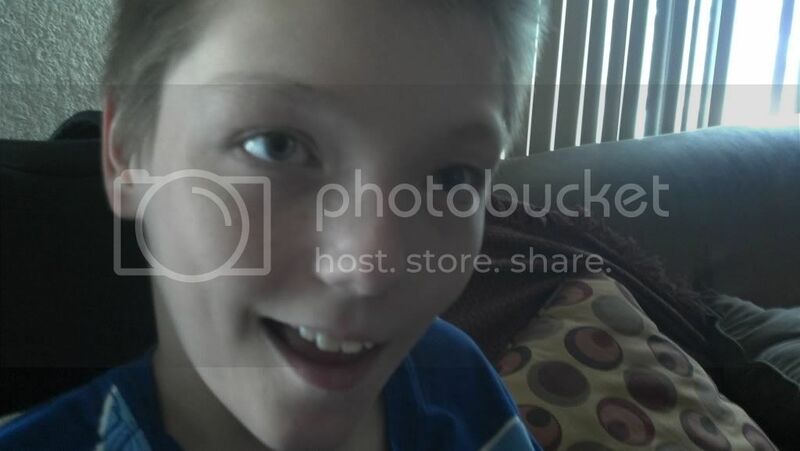 Many of you know my 12-year-old step-son, Bud has cerebral palsy. He is wheel chair bound, and relays on us for everything. Bud was born premature, his mom smoked while she was pregnant with him, along with other things. Bud is an amazing child, but what’s his life-like? He’s loved, and cared for, we feed him, put him to bed, and he goes and plays with his sisters all the time. We love our little Bud, sure he’s rotten, but he’s one of the happiest children I know. I think because he’s been handicap since birth things are a little easier to accept for him. Shawn and I have 4 children. Three of which are completely blessed with health, legs that move, the ability to run play, feed themselves, take part in sports, talk on the phone, change the channel, get a drink, draw a picture, they have the ability to wipe their own behind, take a shower alone, and just about anything else they want. Then you look at Bud, he doesn’t get to run around with his sisters he watches them run, play, jump on the trampoline, fight, drive their cars, bikes, and everything else we have. HE SITS IN HIS CHAIR AND WATCHES! As a mother nothing makes me happier than hearing my children laugh, watching them play together. I know all we can do is offer Bud the best life possible, and we do. However that doesn’t make things easy, it’s hard to see him not be able to do anything for himself It’s hard to not think back to his mom smoking, and wonder. I cannot help myself sometimes I get mad that he has to be this way, the doesn’t deserve it. The thought that it possibly could have been avoided makes me mad. After being pregnant with my own, I don’t understand how a mother can put anything harmful in their body. It breaks my heart because they really are not thinking about their unborn baby. I think when a mother smokes while she is pregnant, it’s because she hasn’t done research. Really, Google It! What can happen if I smoke while I’m pregnant. What we do as mothers, can have an effect on our child for the rest of their life. So before you go get pregnant be sure you’re ready to give these things up. After my nephew was born he was airlifted to a larger hospital, and eventually ended up at Texas Children’s in Houston. The Dr. at Texas Children’s informed my brother and sister-n-law they’re newborn baby had Hypoplastic Left Heart Syndrome. I believe Corbie was 6 days old when he had his first major heart surgery. The second heart surgery came at three months old, and he was scheduled to have his next at age three. The third one is the final one , and it’s extremely important it’s done when he’s ready. It was just a few weeks before Corbin was due to start getting everything going for his third heard surgery, when he got sick. Mom and dad were very careful taking little Corbie anywhere, it was important he didn’t get sick before his last surgery it could postpone it. His heart isn’t able to fight infection like someone without his heart problems. Mom took him to the Dr and learned the had RSV, and they were immediately airlifted to Houston’s Texas Children Hospital. His surgery was postponed for months because he had RSV. Him getting RSV, even over the age of two could have killed him. The Dr wanted Corbin well for 6 months before they operated. Needless to say his parents were on worried. What’s RSV? Respiratory Synctial Virus (RSV) is a contagious viral disease that can infect. RSV infects children sooner or later, but normally before the age of two. It’s important to become knowledgeable about it. What are some signs you can look for? Cold symptoms such as: Cough runny nose, love fever, coughing, labored breathing, and even sometimes wheezing. RSV can be dangerous and even deadly, particularly for any child under the age of six months. It’s also highly contagious and can spread easily. Did you know that RSV is the leading cause of hospitalization of infants? Keep children away from large crowds during the winter months. DON’T SMOKE AROUND YOU’RE CHILD. Know the signs and be knowledgeable. Want to learn more? Head over and check out the Raising Preemie Awareness on November 17 – World Prematurity Day fact sheet. Help prevent RSV from spreading, become educated! Learn more and become educated at RSVProtection.com. It’s important that we become more knowledge, and spead the word. The more knowledge everyone has, the more we can take control of preterm birth and RSV, and the more babies lives we can save. It’s worth learning about. Jenn I know you don't post these for praises or anything but I just thank God for wonderful people like you who not only take care of a special needs child but one who isn't yours by blood. Bud is the luckiest little boy in the world and to think about it, maybe this is why he is this way, he has brought out the best in all of you. What a great family you have and may God continue to bless you all. I really enjoyed your awareness article and will be sure to past it on. My first daughter was born at 34 weeks because I had preaclampsia so I didnt have a choice. Your story was very touching thanks for sharing. Thank you for the information. I will share it on my facebook page for others to come read also. Wow, Jenn. Thank you for sharing this - the information and the peek into your world. I had no idea about RSV and am forwarding this to all my friends and family members who are trying to conceive or pregnant. Thanks again! thanks for helping get the word out, it's scary stuff and important new mommies know so they can protect their little ones! I tweeted and Posted to facebook. Hope the contest brings tons of awareness to your cause. Such Great information. I am happy to say I know several preemies that are thriving in every way! thanks for you're awesome comment... agreed it's important that people are knowledgeable.. Thanks for sharing Sandy... I totally agree people need to become more educated..
Thankfully I have not had any experience with having a premature baby but I can see how you have to be very careful infants are so susceptible in general. You are such a great mom to help take care of a child that can't do anything for themselves, I can tell you take care of him as if he were your own. God will bless you for what you are doing. Denise, thank you for your kind words.... yes I love him very much.. it was hard to get him to feel the same way, I think he some way related his mom not being around anymore with me.. It was very hard at first but things fall into place the way the lord wants..... it always works the way it's supposed to. WOW, only 3.5 lbs.. He sure has grown, It's hard to always make sure anyone who visits isn't sick, but so worth it.. Bless you and you're little one so glad to see everything is going well... The winter months are hard too.. The holidays, everyone wants to be around. It's also the worst time of year for RSV and other colds.. Thanks so much for you comment!